MUSKEGON – Midway through Sunday’s game, it looked like it was going to be a second straight gloomy night for the Muskegon Clippers. They trailed 4-1 through three innings and needed someone to put out the fire and shut down the Saginaw Sugar Beets. 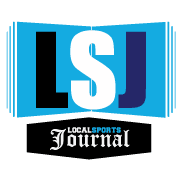 That someone turned out to be relief pitcher Maxwell Ludka, who tossed four scoreless innings and allowed the Clippers to rally for a 7-4 victory over Saginaw at Marsh Field. 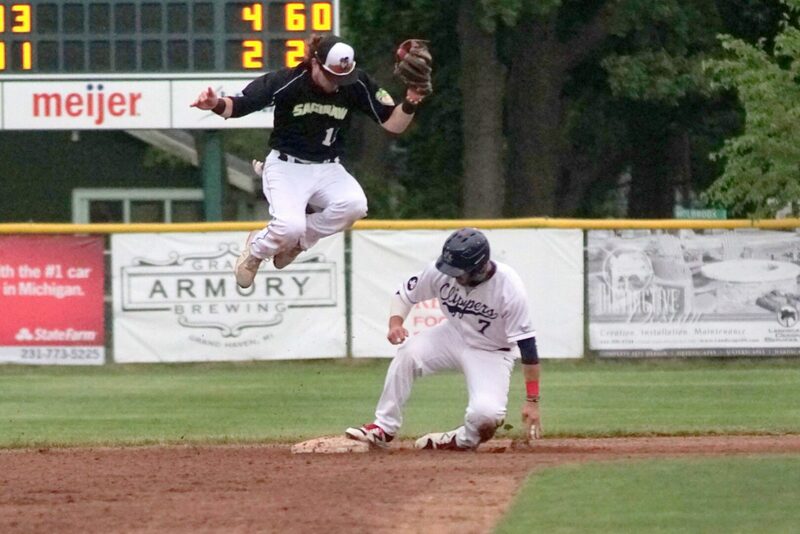 The Clippers ended up taking two of three in their opening-weekend series with the Sugar Beets. They won on Friday then lost on Saturday. Muskegon will now head out for a four-game road trip starting on Tuesday, when they will face the Cincinnati Steam in a two-game series. Ludka allowed just two hits and struck out seven batters in his four innings, before handing the ball to closer Blake Dunn, who got the final three outs of the contest. 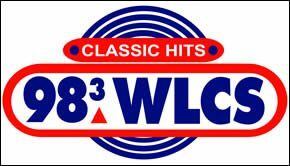 “We gave up a big inning in the third and fell behind 4-1, but the key tonight was Max Ludka,” said Clippers manager Walt Gawkowski. “He came in and bridged us to Blake. Max was really excellent tonight, and he is going to be a huge help for us. The Sugar Beets opened the scoring with a leadoff homer in the first to take a 1-0 lead. Muskegon quickly tied the game 1-1 before falling behind 4-1. The Clippers clawed back into the game with a run in the third inning and two in the fourth to tie the game 4-4. Ludka came into the game in the fifth inning and shut down the Sugar Beet bats, allowing the Clippers to finally break the tie in the seventh frame with a three-spot. The three runs came on three consecutive RBI doubles – all with two outs – by Ryan Blake-Jones, Micah Allen and Maison Stites. 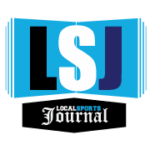 Ludka relieved for starter Jarrod Melle, who allowed four runs on six hits in four innings while striking out four batters. 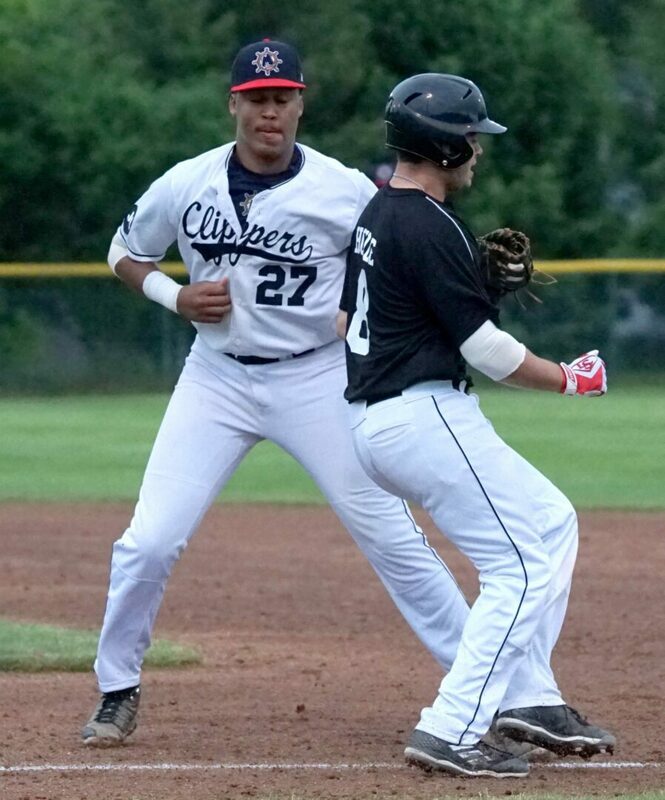 The Clippers were led offensively Blake-Jones, who had two hits, including a double, along with two RBIs and scored a run. Both Stites and Allen had RBI doubles and scored a run.